Do you get pain in your shoulder, elbow or wrist? 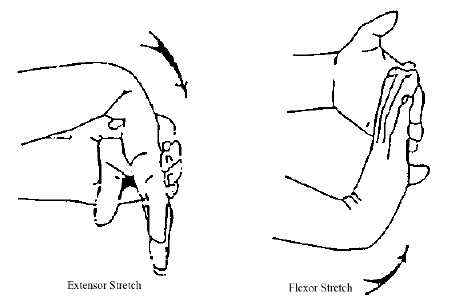 Do you have trouble gripping things? Do you have trouble holding your instrument for long periods? Do you get any pins and needles in your arms or hands? Following working at a computer, playing an instrument is the second most common cause of repetitive strain injury in the upper limb. 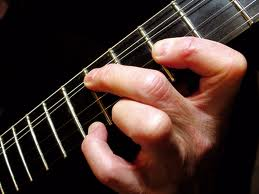 For most musicians the wrist and fingers are money-makers. Injuries to these areas are common due to the complex and repeated use of such fine muscles. Both orchestral and band performers are likely to develop upper limb injuries at some point in their career. A recent report at a music medicine conference showed that 78% of the members of an orchestra sought help for playing-related musculoskeletal injuries. These injuries are not uncommon! And for all musicians there are measures which should be taken to minimise and prevent the risk of injury. 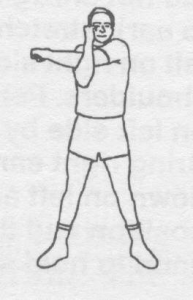 – Poor shoulder and wrist posture at your instrument or poor technique for holding your instrument. – Practice should include a variety of styles and tempos. – You should gradually increase practice prior to a performance or when returning from a period away from your instrument. – Aerobic fitness and strengthening is vital for musicians who want to perform at their peak. – Initial ice and rest are vital. 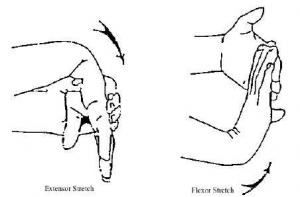 – Stretching – see below; Hold each stretch 30 seconds repeat 3times, 2 times per day. – Improve technique, posture, positioning. If you see yourself as fitting into any of these levels a consultation with a physiotherapist may be useful for you. A physiotherapist will conduct a detailed assessment of your injury as well as your practice regime, posture and program. They will also determine an individualised treatment and rehabilitation program to ensure you are fit and ready to return to playing your instrument with the lowest likelihood of reinjuring the current area. Remedial massage therapy could also be useful to you for relieving muscle tension and promoting muscle relaxation, increasing circulation and improving flexibility. If you would like to make an appointment with a physiotherapist for an assessment and/or treatment of your injury. Or if you are concerned about your current instrument and postural setup or your practice schedule please call Rathmines Physiotherapy on 4959-1622 or ask at reception.